Hoping to keep the project cost as low as possible. I paid $40 for it which I think is a good start. The base and dome are in great shape. The Fire Ring can be saved, I think (crossing fingers). The firebox was too far gone... Broke into over 10 pieces and missing a large chunk. The nest needs to be cleaned up and probably some new caster wheels and hardware but overall good shape. Missing pieces are pretty much all metal (bands, draft door, daisy wheel), damper and it needs a firebox. Stayed tuned for progress on this. Considering weather to use the collar and fab something up for the daisy wheel or just weld the piece back on. We'll see how that come out tomorrow. Originally it also had some metal and wire going around the ring that was helping to keep it intact. Not sure if I will add something like that back but it shouldn't be needed. Interested in how this progresses - keep us updated! +1 to that, loving to see the progress.. 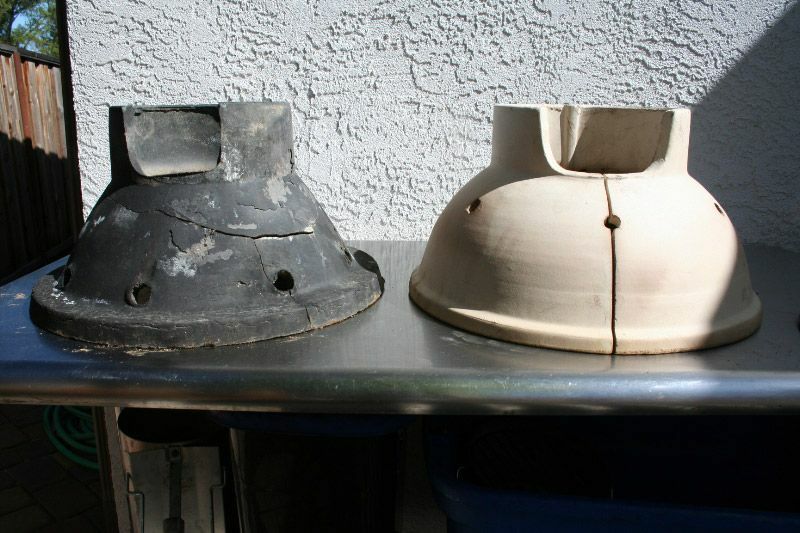 It looks like the dome on yours has the same strange groove in the side that would be covered if you had a band for it. Check the dome for Japanese characters around where you would normally find an Egg dome thermo. Looking forward to seeing how yours comes out. Richard Fl might chime in with some tips as he restored a couple of kamados (I sent him the scissor bands from my IK). Good Luck! I actually went and saw a pretty mint 90's IK today. I saw it because the ad only said Big Green Egg Kamado cooker and I was hoping I might be able to get parts from it. Turned out to be an IK in great shape. They wanted too much for it but crazy to think it was the same cooker. This explains why the nest seems a bit too big for it and the orange is seeping through in some areas. Do you know if the holes for the draft door on the IK match the BGE? I eyeballed mine and the holes looked to be exactly the same as my LBGE. My Fire Grate and Fire Ring are definitely identical to your pictures. Thanks for helping me figure out exactly what I have. I'll check for the Japanese characters in the morning. I've also always wondered about the temperatures these can take. I find it interesting that the original instructions show you how to set the dampers for 500 and even 700 degrees but everyone always says to only use these for low and slow sub-500 degree cooks. Is the lower temperatures just precautionary due to age? My father had one starting in the late '60s (saw them in Asia during WWII) and he never did a low and slow in his life. High temp cooks only. Kamado, "TEN BUCKS", Richard Fl. Went to an estate sale this am and this jumped in the car, actually have to pick it up tomorrow. Previous owner had rigged it for propane and the bands are nasty rust and will have to be cleaned. My Dr would kill me, just had left hip replaced 3 weeks ago, if he knew I was at garage sales rather then home recovering from my surgery. **************For $10 could not resist. What have I become the new owner of? 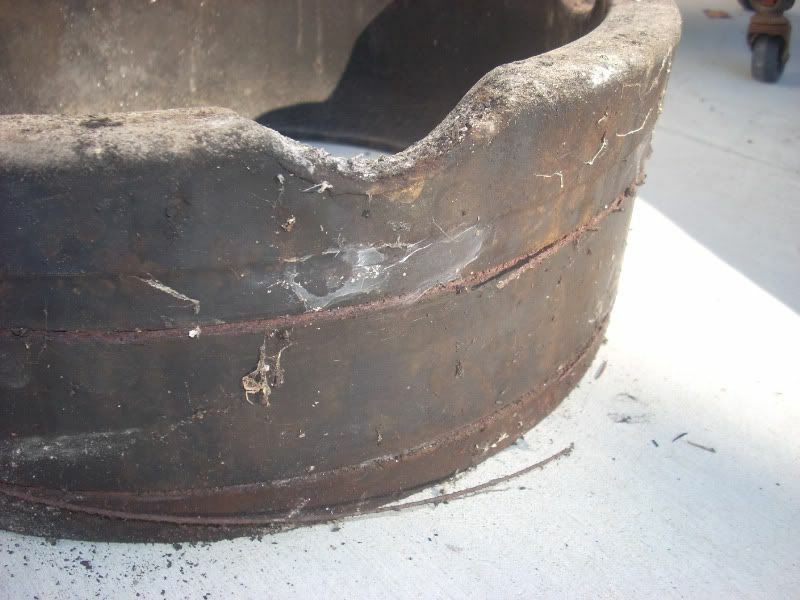 **************** My friend said that if I could not restore it she would have a nice flower pot by the pool. I washed it and scrubbed with stiff brush. The clay interior was in pieces so I carefully removed them and used JB Weld to put back together. What a mess. Had the stand and bands sandblasted, repainted with high temp BBQ black. For the outside paint since I was not going to take the dome temp above 375F I used a green fleck from Lowe's about $10/can 3 or 4 cans forgot. New gasket. Total restoration cost around $150. Use it for lo/slo. Blasted estate sales!!! Yesterday my friend, "Lambchop" and I were at an estate sale of a gentleman who had lived 40 years in Japan and this was in the back yard for $10. 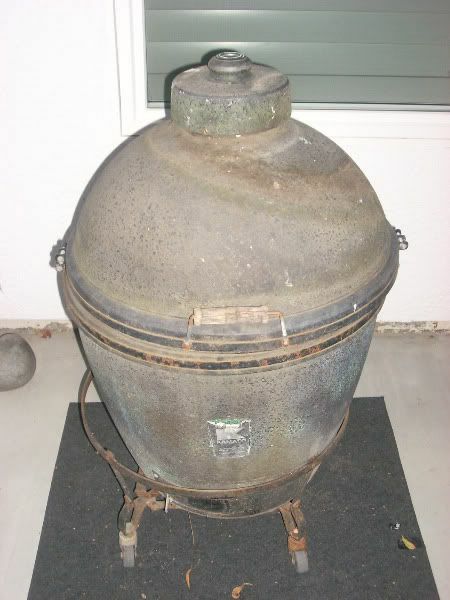 An original kamado complete with Japanese characters inside the pot. Another "Ten Bucks". Think I will call this one "DITTO". 2 Link to previous project. 5 If any one has the old scissor bands from a large taking up space in storage, I would be happy to provide another home, will trade spices/seasonings. 1 John Yee who provided the band. : When I decided that some of the surface area needed to be built up on the bottom and then I broke the top, bah I started to take a putty knife to all the ceramic on the bottom and easily peal it off. then I placed with the cement. That cement I used I had several pieces that were peeling off the bottom and after my accident with the top I just bought a can $6-8 at Lowes. Mix a little cup or so at a time as it has a fast set up time. Worked it all over and even did the inside of the top.. When I had done an area and it had set a little I took a wet rag and rubbed over lightly to smooth out the finish. It is slightly ruff grainy and after the whole thing was done, I took some 60-80 grit sand paper and just highlighted the finish, So far I am happy at this stage of the project. I'd suggest taking measurements on yours and then compare to measurements on a MBGE. You are right about the fit not being quite exact. The BGE firebox is narrow at the bottom and top. Definitely functional though so works great for me. I have one of those Fire Grates from Ebay on the way. I have tried all the others in my LBGE so I thought I'd give one of those a try. Same with the draft door but looks like it will work great. You're not wasting any time! 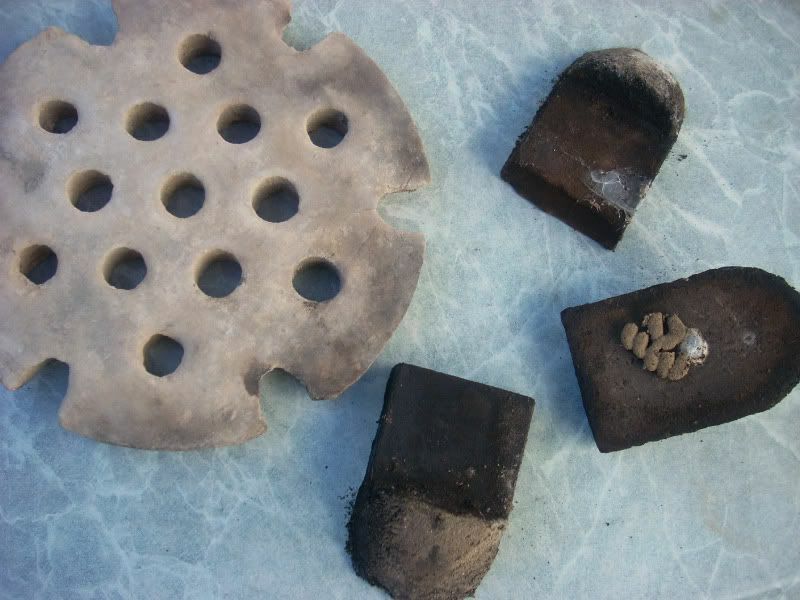 In regards to cooking temps, I'd received a tip before to break the Kamado in slowly over a few burns with very little lump or briquettes and gradually work up to normal levels. The guy who told me this had one that had been left out in the rain and it oozed moisture. Ultimately, I don't intend to use mine for any cooks over 350 and will take my time getting mine there. I guess this will be going to together quicker than anticipated. I have the bands as well just didn't take a pic of them. Going to work on cleaning up the nest today and maybe start prepping it and the Kamado for paint. Where are you measuring your temps from? 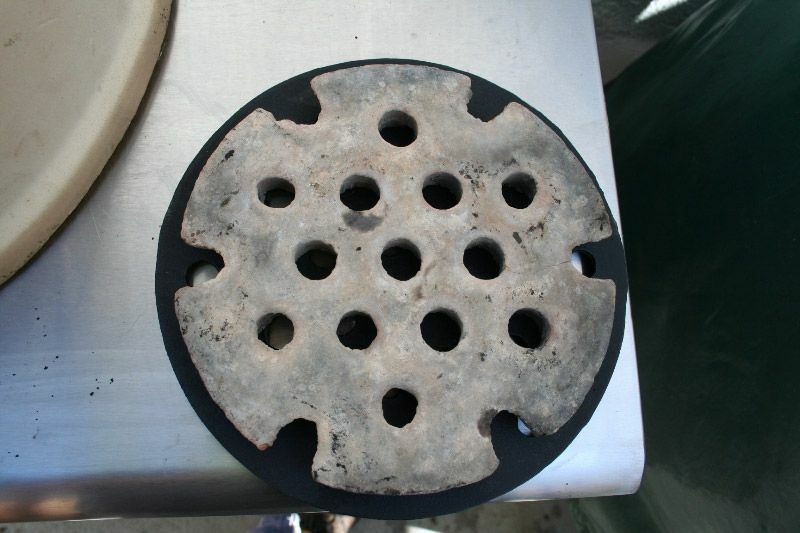 I am wondering because I think the next burn I will throw my pizza stone in so I can actually get an accurate temperature though the dome. Since I feel like my temps are registering really high just due to flame. For paint I have seen a few guys throw down a base of very high heat BBQ paint before laying on another color of high heat paint. Is there any tangible benefit to this? I can't imagine that it would have much of an impact but I could be wrong. Also, Through the dome the highest my burn yesterday got to was 560F. Flame going directly up to the probe through so I assume it is reading a bit hight but my JB Welded fire ring went from grey to a nice burnt brown and is holding up great. I assume this is good since when I have seen the JB Weld fail it had turned white and flaked away. I've measured only at the grate with an oven thermo. I think the two color paint process is purely cosmetic. I still need to do a minor patch on mine & paint it. 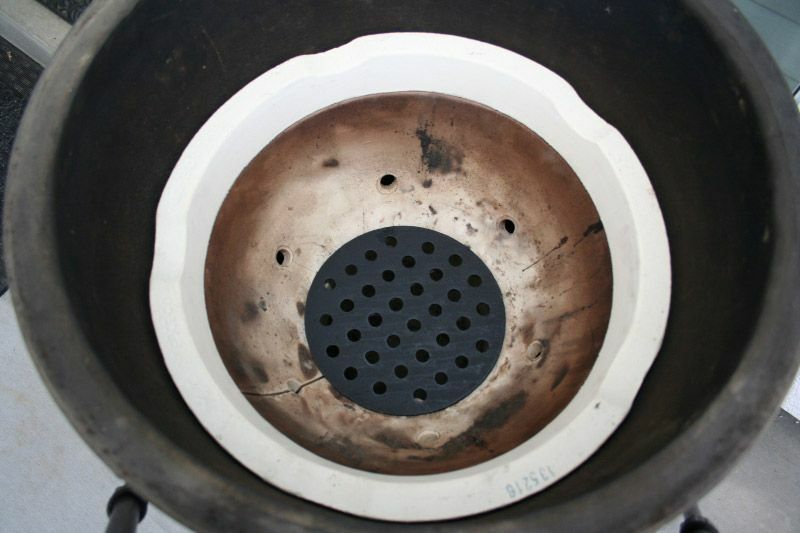 I haven't needed JB Weld but understand it has a heat limit that can be exceeded if in close proximity to lump. I've seen someone put high temp furnace cement over the JB Weld but not sure if that held up. 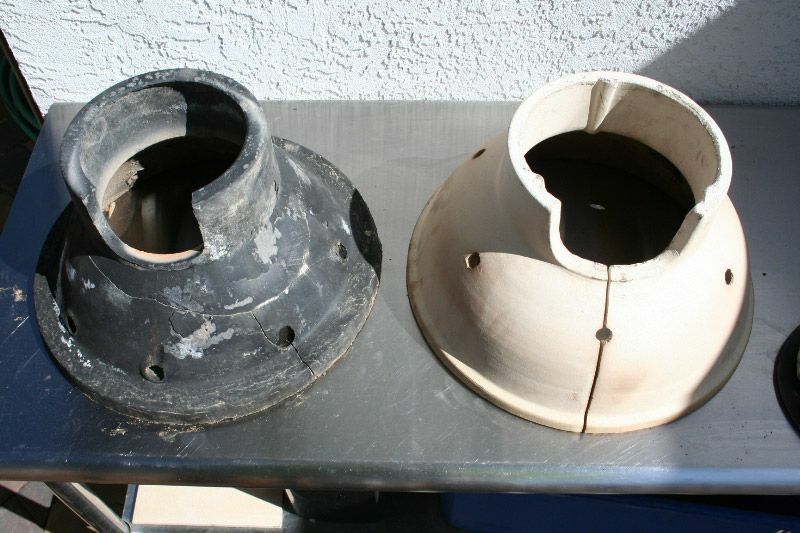 I planned on using the furnance cement over the fire ring it if I start to see the JB Weld fail. So far so good though. Congrats! It looks to be in great shape. Any idea of its age? I'd guess that the 1991 manual on the Naked Whiz site would have accompanied this Kamado. I'm basing that on the draft door style and the grill lift tool that came with it. In case you guys were wondering if anyone else care about your projects, I'm enjoying following this thread when it has popped up. I just thought I would let you both know. 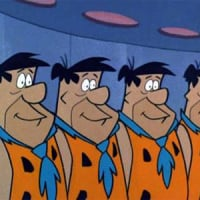 I'm with @Fred19Flintstone and am enjoying the restoration progress! word, I dont comment, nothing to add, but look at it every update!! I am hoping to get some more work done this week so hopefully you will actually see some updates. Was going to call the project "That thing got a Hemi?" but I have a different idea I might give a try now. I've had mine for over 2 years and have been progressing at a snails pace. I find your progress inspiring @deekortiz3. How many cans of paint have you gone through and how many more do you think you'll need? I need to pick out a color or two and buy some paint. I went through 1 full can and probably a quarter of another can painting the dome. I have what is left of that can and another full can right now... Probably going to pick up one more as an extra just in case. So I would have 4 on hand for the whole project. So I underestimated paint a bit... have 5 cans on hand. Daisy Wheel is now fixed (not pictured) will get a pic tomorrow. Stand and draft door are getting powder coated. Will have back this weekend. I'll be waiting the full cure time for the paint before putting the bands on... might put on the draft door earlier though. Really happy with the progress so far. Looks good! Thx for the info on the paint. I don't think I will be taking this thing higher than the 550 this one goes up to and it will be nice to have some lower readings for making jerky, cheese, bacon etc. The 4 inch stem will hopefully be long enough to not throw off inaccurate readings like the 2.5 inch one. Draft door is installed. As cool as this looks now, the finish is already scratched up from just basic door moving. I will just chalk up all the scratches in the powder coat as character lol.